We built a (working!) pneumatics system today at the robotics training class. The FRC pneumatics manual is the “textbook” for this weekly class. We had three students complete most of the building after about an hour of instruction on pneumatics basics. These are kids with very little building experience and I was amazed at how easily it all came together. 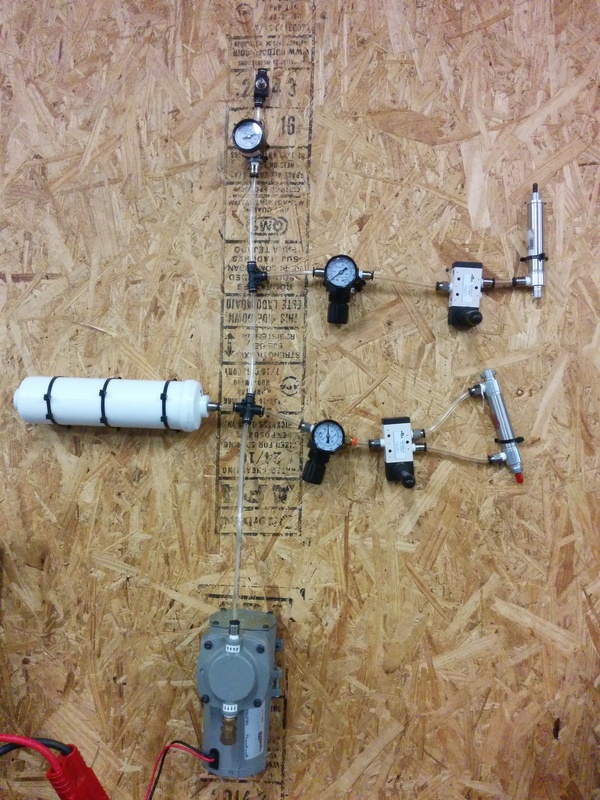 This board will be on display in our robotics workshop to illustrate how pneumatic systems operate.